An unlikely meeting between American tourist Cori Calvert and Limerick publican Brian O’Callaghan has led to the launch of a new Limerick start-up, Glas Éireann Solutions. Based in the National Technology Park near University of Limerick, Glas Éireann Solutions (GES) launched on 1st October 2017. GES is an ESCO (energy service company) serving the public and private sectors throughout Ireland by providing economical green energy solutions to the agricultural, industrial, hospitality, and transport industries. "We strive to be the market leader in providing the broadest range of energy solutions, including design and implementation of energy savings projects, retrofit, energy conservation, maintenance and innovative financing options which improve business efficiency without extensive capital outlays. We aim to increase business profitability, allowing those businesses to focus their time and resources on expansion and creating employment." - Co-Founder Brian O'Callaghan. Currently, the ESCO model is offered in a very limited way in Ireland, UK and Spain. GES will be the first to market in Ireland in offering a full range of ESCO options to Irish businesses. CEO of Glas Éireann Solutions, Cori Calvert previously served as Managing Director of the United States Federal Government Natural Resources Conservation Agency and has overseen and implemented over 400 energy performance contracts. It was a chance meeting during Cori’s holiday to Ireland that they both realised they had a common interest in increasing energy efficiency for SMEs. "It took many months of meetings, skype calls, emails and phone calls before we realised the enormity of the potential of the idea we had stumbled upon. It dawned on us both that we were about to bring the ESCO (energy service company) business model to Ireland. When it came time to decide where to establish the business, Cori identified four main areas which needed to be satisfied for a business and indeed relocation – location, Infrastructure, talent and culture; and I being a proud Limerick man, assured her that Limerick answered all these concerns with gusto! We’ve just launched on the 1st of October and are just now beginning work on our first customers. It’s been an exciting and busy month for us! 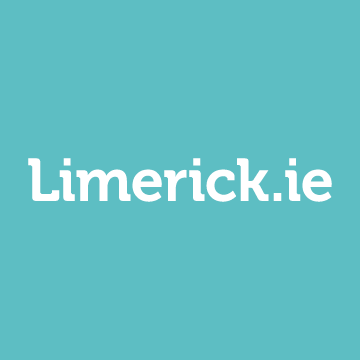 Not only has the business been welcomed by customers, but as a startup we have been welcomed into the Limerick business community with open arms. We have been invited to numerous networking events, such as Bank of Ireland Founder Friday and Workbench events, BNI Breakfasts, LEO, Network Ireland as well as Limerick Chamber events. Indeed, we have already received financial backing from the Local Enterprise Office here in limerick, and we are about to move into new office space based near the UL Campus. The level of goodwill from this Limerick business community has been overwhelming and shows how unique the Mid West of Ireland is, particularly in comparison to the US." They are currently hiring a Chief Technology Officer, and a VP of Sales with more employment anticipated in Year 1.